Writing a great post is one thing but getting it out there to as many people as possible is another. How are you going to promote your blog to a would-be target audience. You need to spend a lot of time and effort to promote your blog, it’s not just a one-off kind of thing. The general rule is that you spend around 25% of the time writing great content for your reader, the rest of it is taken up with admin tasks and promotion. Well, there are actually a lot of great places to promote your blog post ranging from social media sites all the way to blog sharing websites. This is the bread and butter of traffic so to speak. Places like Google and Bing have high-quality traffic for your website because these readers are normally looking for something specific – therefor, if they land on your blog it’s because you have something that interests them. If you want your content to be searchable on the search engines then the best way is to work on your SEO by having great keywords and content. Pinterest is a search engine itself. You create pins and boards to promote your blog posts. Get visual with your pins as this will attract clicks and ultimately some traffic to your blog. You can use a free app like Canva to create your pins and then upload them to Pinterest. Without any doubt, one of the best places to promote your latest post is to your subscribers. You can send out emails using free services like MailChimp (free for up to 2,000 subscribers). If you’re not quite sure how to get subscribers for your blog, the easiest way is to create an opt-in form and offer a freebie related to your niche in return for their email address. What’s to lose. Google likes you using there pages so there is the possibility this might help your ranking. Also, there is google communities that are worth joining so you can share your posts that way. It might sound silly but it’s true. Think about it this way, I have written this post, you are reading it because it is of interest to you. Within the post, I have linked some of my older posts because they offer more detail on some of the subjects outlined. It doesn’t cost a thing and you can be putting other posts out at the same time. Of course, it’s also worth having a latest and related posts in the sidebar of your blog as well. Not really a huge traffic generator in itself because you can’t link your post, it’s still worth doing it because your web address can be in your bio and you may get a few interested visitors. Got a YouTube channel? Whenever you post a new video, make sure to mention your latest blog posts. It’s a simple way to drive some traffic. If you have a Facebook page that is dedicated to your blog then this is where to promote your posts. A good fan base and catchy headlines from you will help to drive some traffic to your site. Join groups within your Niche. Comment within these groups and add value by helping others out. Theres nothing wrong with offering a snippet of help in a discussion then telling people to check out the rest on your post. Just make sure that you are offering help and not just posting links all the time. That will be looked at as spammy and people won’t see you as an authority in your niche. A lot of bloggers love Medium. It’s a powerful blogging platform with a target audience looking for excellent content. To learn more, checkout this great article from Neil Patel. Most people are familiar with Yahoo Answers as it often comes up in searches when you type in a question. One way to use this to promote your blog is to do searches for questions related to your niche and then give great, useful answers and link back to a relevant blog post that has even more information. For those that don’t know Quora, it’s basically a question and answer site. You may have a question you post with reference to SEO for instance. People will give you quality answers to your questions. Likewise, you can offer answers to peoples questions. Being helpful and giving good answers to questions will have people wanting to see more about what you have to offer and potentially start driving them to your website for more. I often comment on other blogs if I love their content or it is relevant to mine and I follow the blogger. Don’t just add things like “great post” or “love it”. What you need to do is give great comments on the topic and where possible feedback on how you found it useful and maybe offer another way that you would do something. “Hi, wonderfully informative post. I have to say I also love Ubersuggest as a keyword tool” and so on. You get the picture I hope. Add value to comments and discussions. If you want to promote your blog posts on Twitter, make sure to promote the same post a few times as the life of a tweet is extremely short indeed. Change up the wording and hashtags to attract new readers. Flipboard is an online article site. You can create magazines out of interesting things people want to read. To get started with Flipboard, you can create an account for free and choose the topics that interest you. Add related articles plus your own blog posts. It can also be a great place to find ideas for your future posts. There are so many places that you can promote your blog for free. These are just 15 examples and my personal choice. Without a doubt, when your just getting up and running, the best places to promote your blog is Pinterest and Google. Concentrate on these, write great quality content and then start to expand into other areas to promote. Do you have somewhere you like to promote your blog? 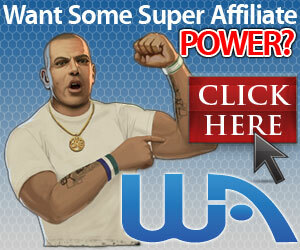 Without any promotions you can never really succeed in affiliate business. I was researching about it and I’m glad I found this site because this has the best ways I can promote my blog. It is so much easier for me now. I don’t have to go looking for these platforms in the web, I have found everything in one article. Thank you so much for the rundown on these methods. Hi Sujandar, thanks for the feedback. I’m glad the post was of some use to you. In my experience, Pinterest has been an amazing platform to drive traffic to my site. Hello mark! I really like how you said pretty much every way to make money by starting a blog. Way to go! I might look more into your methods and try some out for myself. I have not heard of some of them like Flipboard. What does it look like? Maybe put a few pictures on the uncommon methods you have chosen. Hi Alissa, thanks for the feedback. You are right, I will add some pictures of Flipboard. I on with you on this that the best place to promote your brother is Pinterest and Google these have been tested and proven offer the time and it’s one place you can get allot of free traffic into your website so although orthers should not be sidelined but Pinterest and Google will work for you well. Hi Charles, thank you for the feedback. I completely agree with you, Pinterest and Google are the best. Since I started using Pinterest my website traffic has greatly increased and I would recommend anyone just starting out to concentrate fully on Google and Pinterest in the beginning. I’m really glad to have come across this post. You have given me a great list of things to work on. I had no idea about some of these ways to promote my site. I’m going to check out Yahoo answers and for sure a few others. Thanks so much for this valuable information. I have bookmarked your site. Hi, thank you for the kind feedback. I’m glad the post was of some use to you. Thank you for this detailed article on how to promote your blog for free. I must say I thought I knew them all but I certainly have received a few ideas I could and should use as well. Too bad, though, that Google+ is closing its doors on April 2nd. I, actually, had quite the success within the communities when promoting my blog. You always have to know where you can go even further and find new avenues. Hi Sylvia, thanks for your comments I’m glad the post may have given you some ideas. Shame about Google+ but I guess it just wasn’t being used enough. Google originally released it in an attempt to compete with Facebook. I guess it just never really took off with all the other Social Media platforms doing well. Thanks for sharing this, very helpful. It’s rather difficult to get into affiliate marketing without sharing and references, and rather more difficult to promote a site without much promotions and not just one. I have always thought about how people with get in, touch with my blog with all the competitions out there camouflaged as ranking. Hi Ayodeji, thanks for the comments. Out of all the methods, I would definitely go for Pinterest in the first instance. Since I started using it, my traffic has increased dramatically. Thank you for these suggestions, Mark. Not only did you give you one or two ideas, but you had 15! I had not heard of Flipboard. I will check it out. SEO is always something to be reminded of. I will check out Neil Patel’s article too. I had some experience with Ezine articles in the past, and there is a place that is also called Street Articles. You can link to your blog in the bio area of such articles. Traffic is always important, and these 15 suggestions will help many of us. Hi Randy, thanks for the feedback. I hadn’t heard of Ezine or Street Articles – I will need to check those out. Please do check out Neil Patel, his information is fantastic.